Major objective of this lecture is to present on Norman Yoke. Here focus Norman Yoke, in terms of: conquest; castles; war & waste; forest law; rebels & outlaws and merrie England. 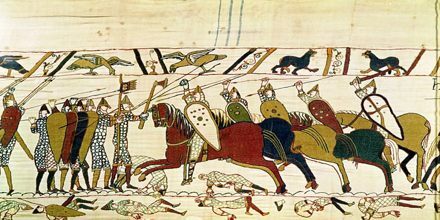 The Norman yoke refers to the oppressive aspects of feudalism in England attributed to the impositions of William the Conqueror, his retainers and their descendants. This lecture also briefly describe on Genocide in Yorkshire. The Conquest, the rebellions which followed the Conqueror’s coronation, and the ferocity with which some were suppressed, laid waste large areas of England. Which Factors Affecting Business Risk of a Company?